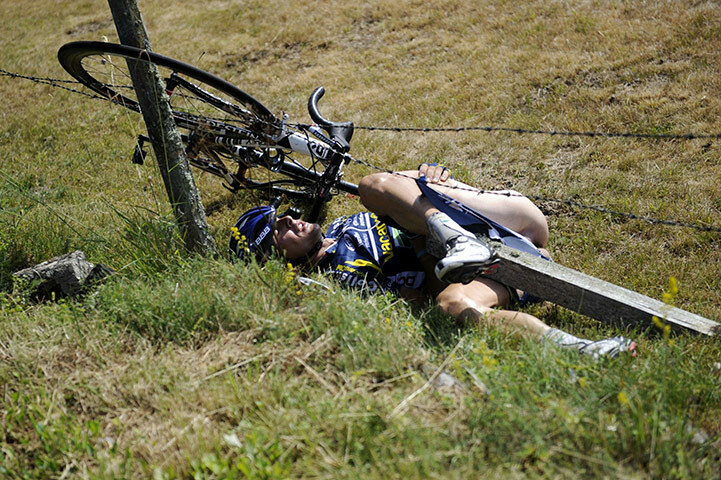 So, wait, Lance didn’t win the tour this year? Frick, I’d have lost the farm in Vegas on that one. 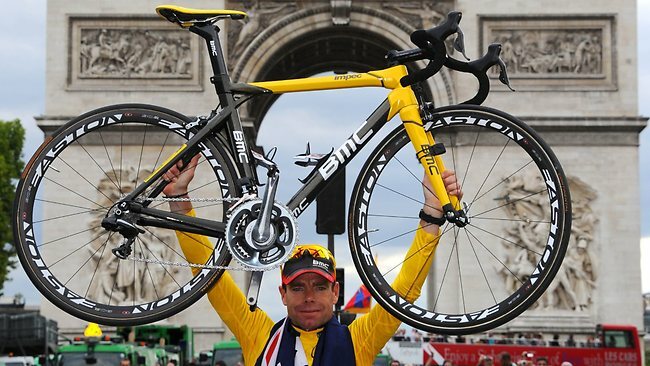 Congrats to the Aussie, Cadel Evans, that pulled out the win. 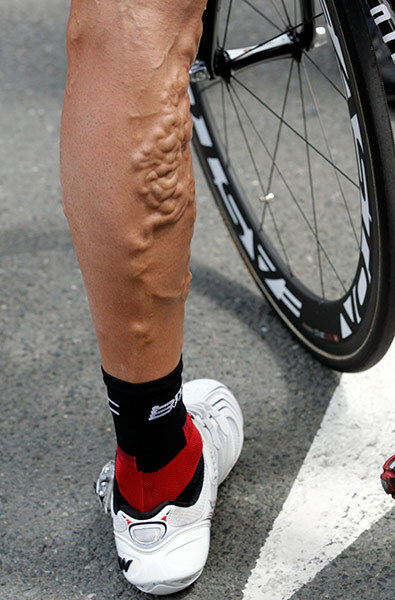 This may come as a shock to our LobShots readers, but I’m not a cycling fan. However, I have cycled once, yes, once, before… and I have a deep, deep respect for what these guys do and what they put their bodies through. Grueling doesn’t even begin to describe it. Now that you’ve seen the winner. 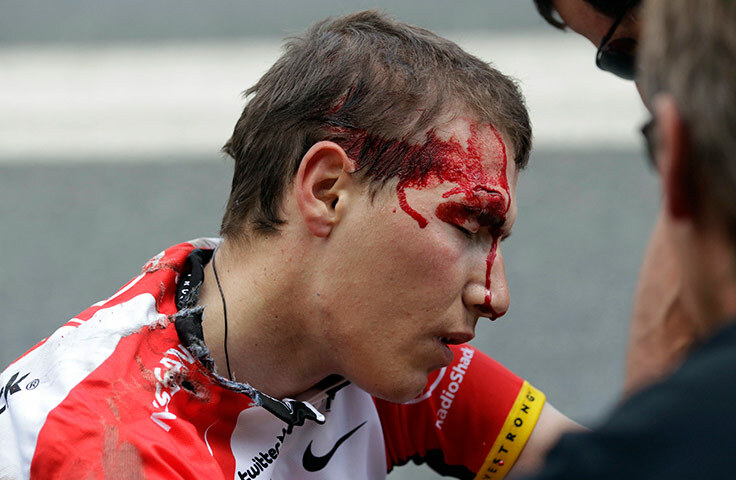 Here are a couple of the losers from the 2011 Tour de France. 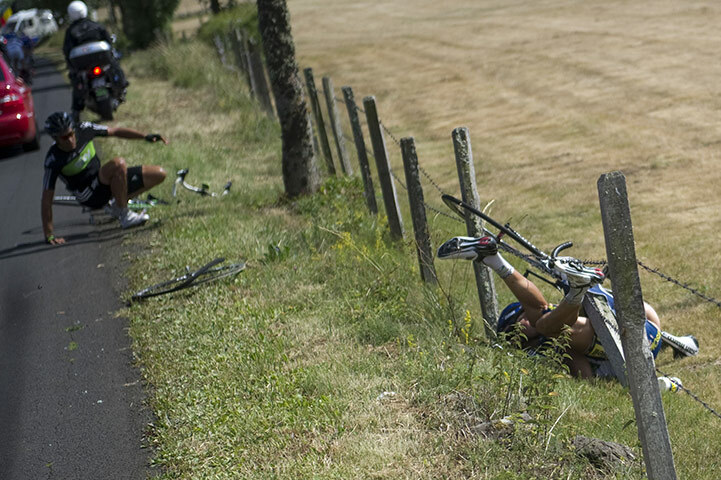 And without further ado, the crash of the Tour… a French TV vehicle caused a crash when it dodged a tree and took out a pack of riders. Video here. This dude suffered the consequences. Uh, WARNING: pictures are graphic and disgusting. 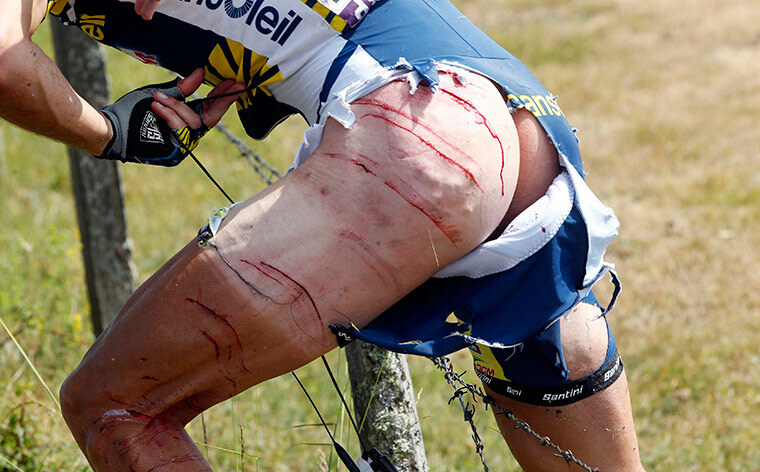 If I saw this dude, Johnny Hoogerland, after the race and you said to me… barbed wire fence or mountain lion? Again, I’m betting the farm on a mountain lion. That’s two farms I’ve lost today. Oh, and yes, that’s Johnny’s grundle in that first pic of him. Cheers. 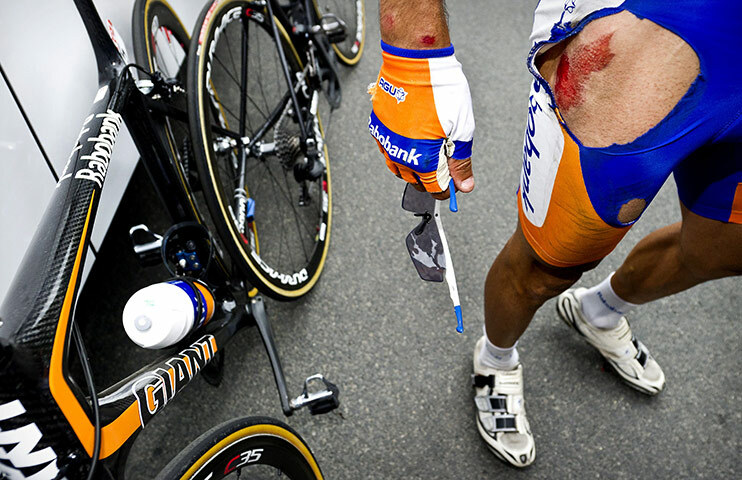 This entry was posted in Events, Sports and tagged 2011 Tour de France, Arc de Triomphe, barbed wire crash, Cadel Evans, Champs-Elysees, Janez Brajkovic, Johnny Hoogerland, Johnny Hoogerland crash, Juan Antonio Flecha, Juan Manuel Garate, lance armstrong, Tour de France, tour de france winner. Bookmark the permalink.